Shooting your M-14, FAL, AR-10, or other .308 Winchester/7.62 NATO rifles doesn't have to cost an arm and a leg. 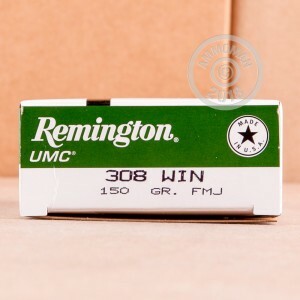 Pick up a few boxes of this affordable Remington UMC ammunition! 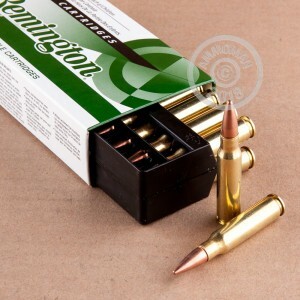 These US-made cartridges fire a 150 grain full metal jacket ("metal case") bullet at a muzzle velocity of 2,820 feet per second and deliver good long range accuracy. They use non-corrosive Boxer primers and brass cases. 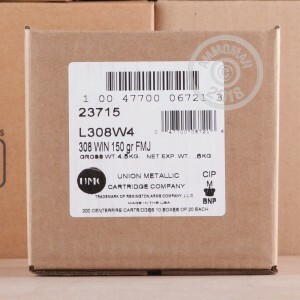 Save even more at AmmoMan.com with free shipping for all orders over $99!